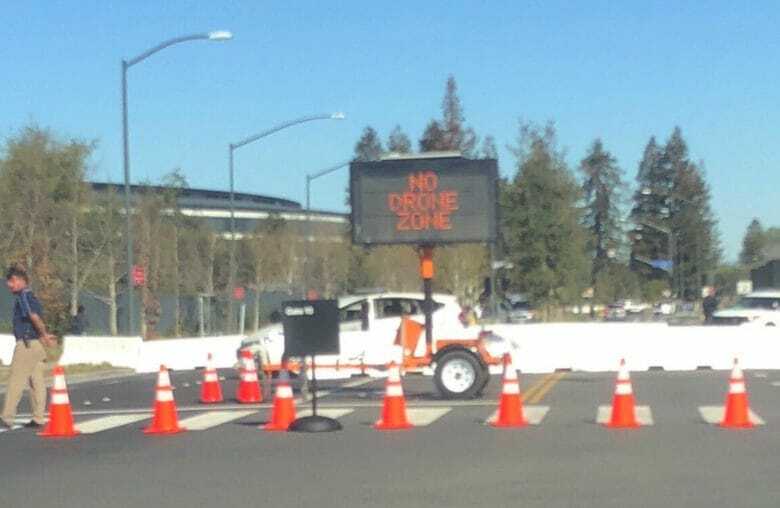 Drones aren't Apple's favorite technology, it seems. Given Apple’s insistence on privacy — and Tim Cook declaring that keeping Apple products under wraps is the “bane of [his] existence” — that’s not necessarily a surprise. Still, it does mean that Apple is seemingly none too happy about the myriad drone flyover videos which keep on showing up online. The spaceship is nearly ready for liftoff. Apple Park is finally starting to look like a finished project in the latest drone flyover video. Landscaping work is in full swing as construction crews race to finish the final details on the Steve Jobs Theater and other buildings. The new Apple campus is still weeks away from being move-in ready. Vehicle traffic on Tantau Ave. was shutdown for most of July as Apple rushes to finish the Visitor’s Center too. The iOS Photos app might just look like a simple grid-like list, but it has a ton of hidden power. For instance, you can see your photos on a full-screen, 3-D Flyover map. 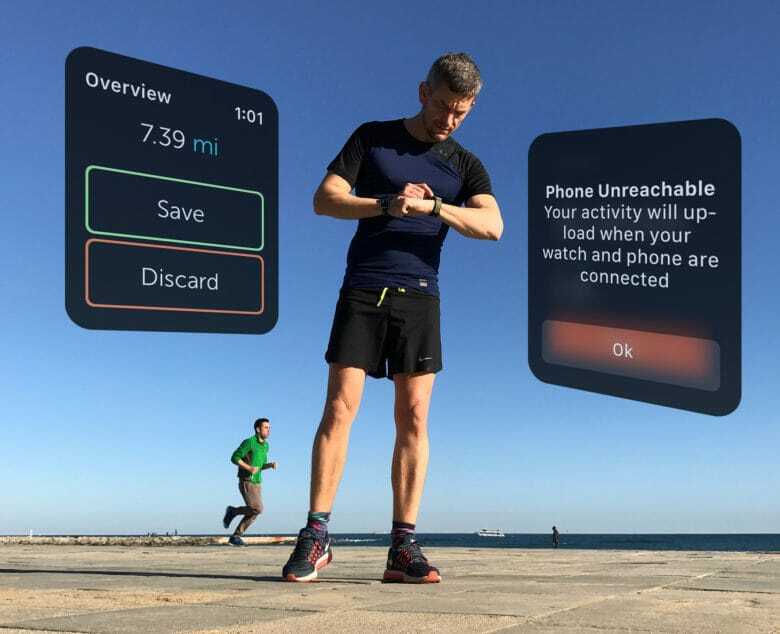 And with one simple swipe on a photograph, you can see where it was taken, see other photos taken nearby, and collections photos that your iPhone figures are related to the one you’re looking at. It’s a fantastic way both to find out more about your pictures, and to browse. 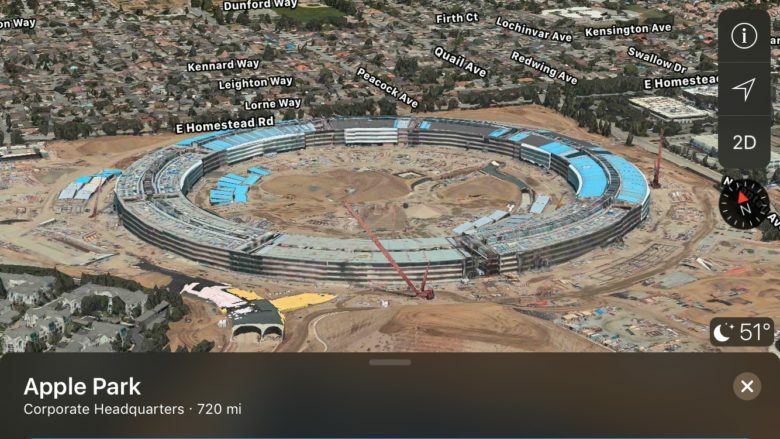 After all, why limit yourself to flipping through pictures, one by one, in the order you shot them, like some film-camera using hipster luddite, when you can see your photos on a map in Apple’s glorious 3-D Flyover view? 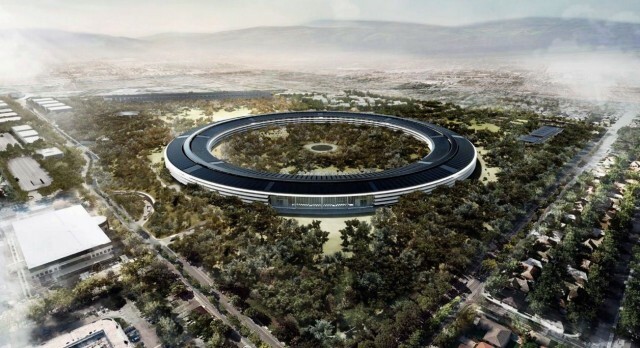 Apple's spaceship campus as it will eventually appear. 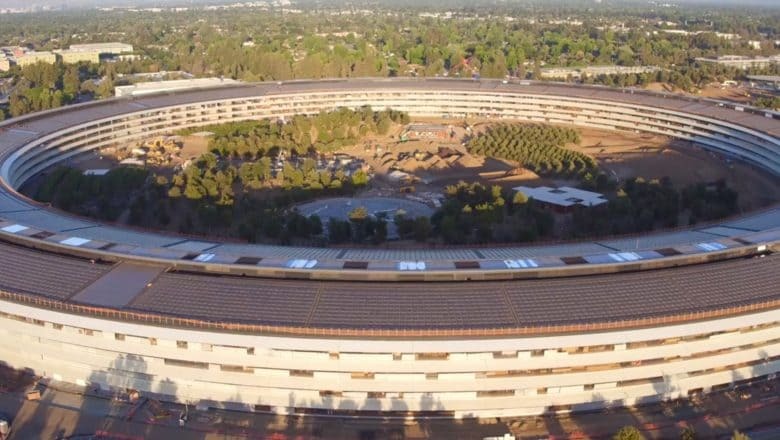 Apple’s still-unnamed “spaceship” campus won’t be completed until the end of this year, but it’s looking less and less like Tim Cook’s beautiful pile of dirt and more like a finished HQ every single day — as drone operator Matthew Roberts’ latest flyover video makes abundantly clear. 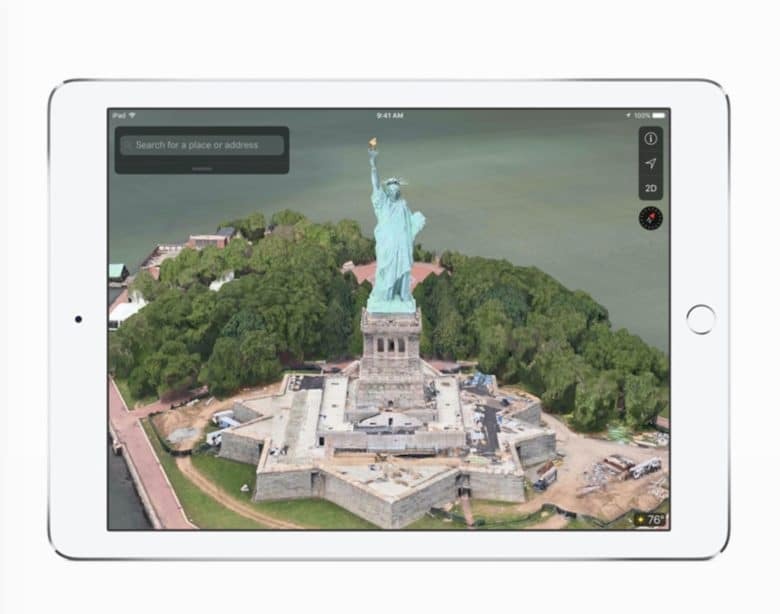 Apple is working to improve its mapping technology. The Apple Maps Flyover feature has been updated for the first time since June, adding an additional 20 places for users to explore from the skies. New locations include destinations in Italy, France, Mexico and Japan, bringing the total number to more than 150. 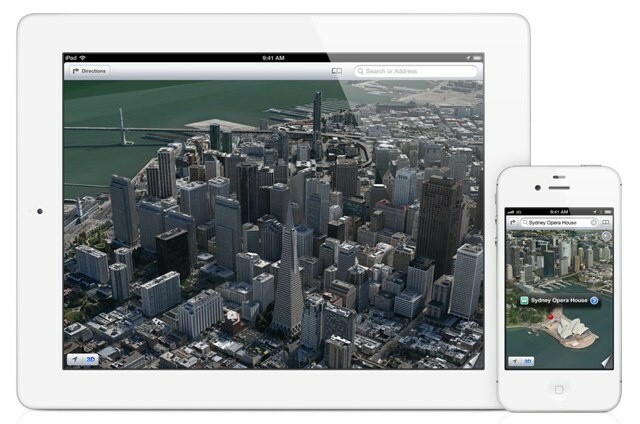 One of Apple’s most-touted features in Maps is Flyover, a mode that lets you see a city in stunning 3D imagery. The feature is limited to select metropolitan areas around the globe, but Apple continues to add more locations as Maps matures. 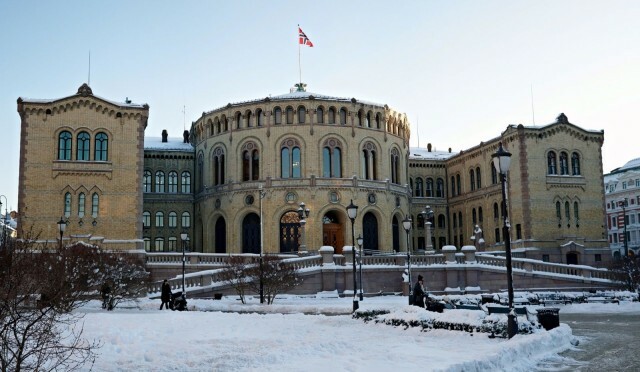 The Norwegian government is currently blocking Apple from taking aerial photography of the country’s capital city, Oslo, due to privacy concerns.